Laetare is a Latin word meaning rejoice! 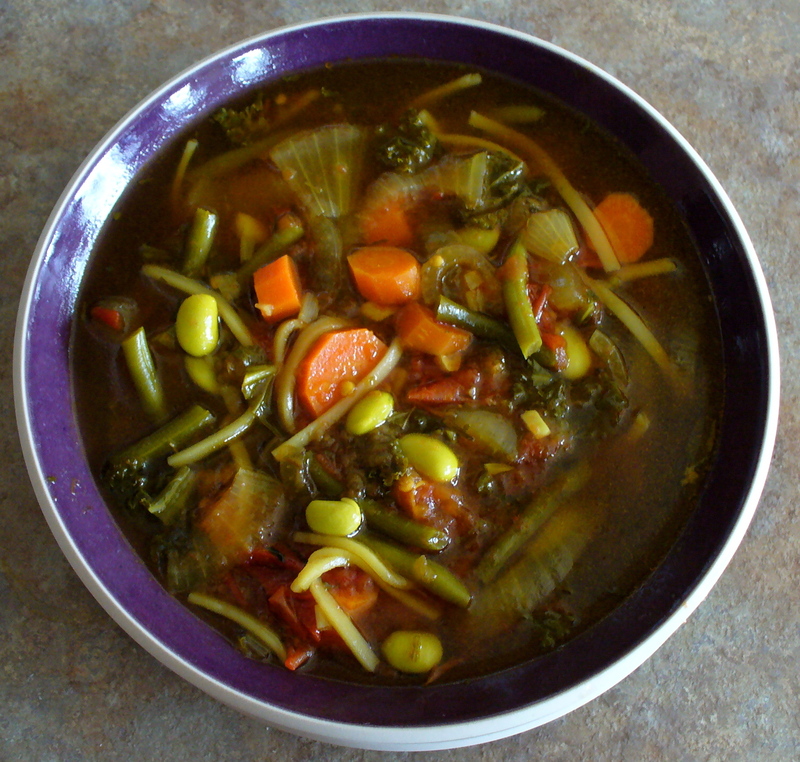 The fourth Sunday in Lent is known as Laetare Sunday, and Joyful Hermit rejoiced having landed through the mid-point of Lent by making a fridge & freezer-clearing soup. Two sweet onions sliced, five garlic cloves chopped, and some slivered, olive-oil marinated eggplant (little jar in pantry needing to be used) begins the base. Add a Tbsp. or so of vegetable tamalade remaining in fridge. Chop final 3 carrots; add to pot. Dump in a pint of thawed pureed tomatoes from last summer’s bounty; rinse container by filling with pint of water and add to pot. Toss in a Tbsp. of crushed Joyful Hermit Soup Herbals™. Saute and bring to simmer. Take a peak in the pantry. Joyful finds a carton of beef stock and pours it into the pot. Rarely a red meat eater due to its tendency to cause body inflammation, beef bone marrow stock is supposed to be helpful to nerve sheathing. While this is not strictly beef bone stock, it does have 7 grams protein per cup and was on sale. 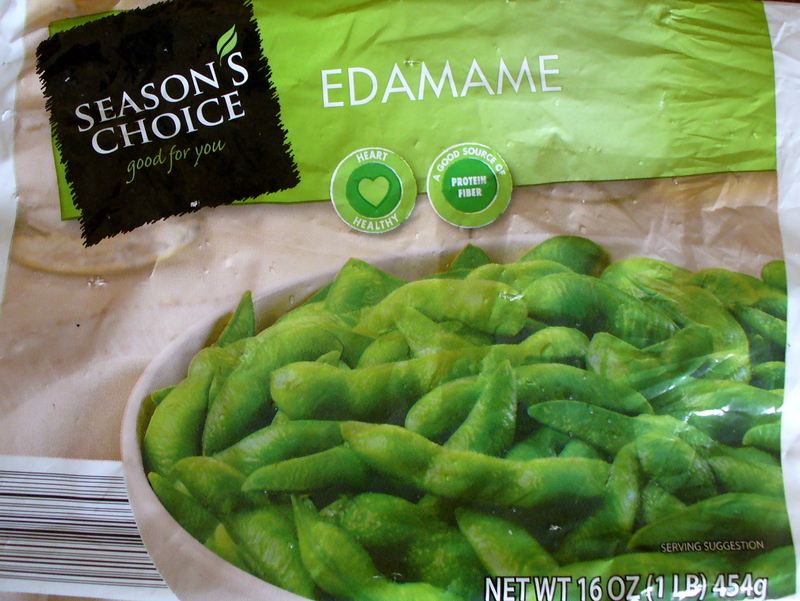 The freezer provides a nearly full bag of Edamame (soy beans). Joyful microwaves these for 3 minutes, lets them cool, and pops the beans from the pods, one by one, into the soup. Those little green beans add 9 grams of protein per serving plus a hunk of vitamins A, C and iron. Digging deeper, Joyful finds a partial bag of frozen green beans and adds them, snipped bite-size. Returning to the refrigerator, some fresh kale is noticed, seeking meaning for its remnant life. JH finely slivers the best of the greens and adds to the simmering brew. Remember: Don’t boil kale, only simmer. Boiling destroys nutrient value. Finally, the pantry produces remnants of rice noodles that, broken and simmered, strengthen broth consistency. Try black pepper and sea salt to taste, plus a combination of turmeric, cumin, curry, and coriander. Or take your spice-pick…and rejoice over 8 ample servings of lavishly healthy Laetare Soup. Waste not, want not. One Lent Joyful Hermit decided to “give up” going to the grocery. Amazing how many creative meals came from the pantry, freezer and fridge. What a great way to utilize by demand-and-command over supply. Rejoice!